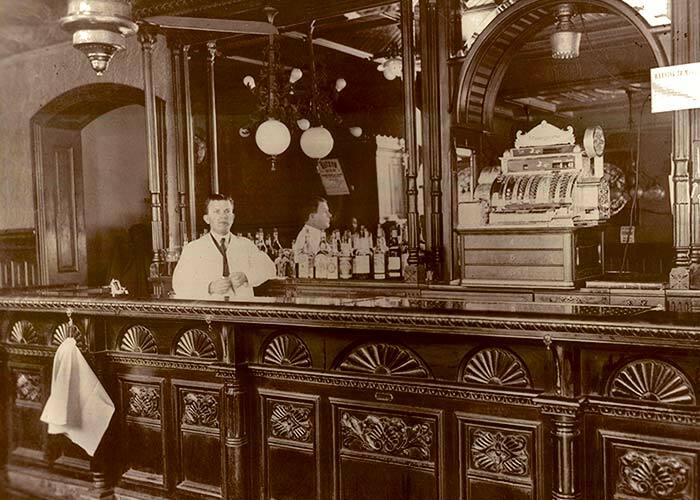 In 1842, a young Louis Rueger emigrated from Germany to Richmond, opening a saloon and café on Broad Street. He yearned to be in the heart of the city, and in 1846 moved his establishment to 9th and Bank Street, directly across from the State Capitol and only one block from what was then the most bustling corner in town, 9th and Main. His business thrived until the Civil War, when martial law was declared and his building was seized, to be used as the Commodore of the Confederate Navy's headquarters. Rueger travelled back to his native Germany during the war, returning to Richmond after five years to find his beloved Rueger's destroyed, a casualty of the great fire of 1865. Rueger's grandson, William, had even bigger dreams. 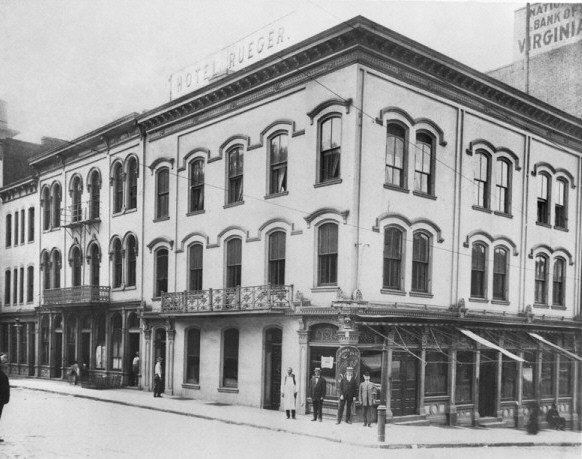 In 1912 he announced the impending construction of what was to become the new Hotel Rueger, and the Times-Dispatch headline read, Famous Restaurant to Become Great Hotel—Ornament to City—Ten Story Building to Cost More Than a Quarter Million Dollars—Three Generations at Helm. Sixteen months later, on November 5, 1913, the existing hotel building opened for the first time. It then boasted 136 bedrooms, of which about 80 percent had private baths, and modern elevators. The dining room could seat 200 guests, there were eight private dining rooms which accommodated 8-36 guests, a basement level grill room for businessmen, and a roof garden above the 10th floor. The Hotel Rueger remained one of the top lodging establishments in Richmond for decades. In the 1950's, with a change of ownership came a change of name, to the Hotel Raleigh. At this same time the roof garden was enclosed and an 11th floor of guestrooms added. In 1982, Fredericksburg developer Larry Silver saw the potential of this historic building. After purchasing the property, he gutted what was then a 123 room hotel to create 59 very spacious one and two room suites. Only the modern elevators from 1912 were left intact, to maintain the atmosphere of a small European hotel. Mr. Silver christened the establishment the Commonwealth Park Suites Hotel. In 2004, an affiliate of SMI Hotel Group purchased the property, and with our recent renovations are proud to reintroduce The Commonwealth to our guests.